As the Woolsey fire raced through the hills of Malibu, California, in November of 2018, Kelsey Holmes faced a nightmarish scenario. While she was safe at the University of California, Los Angeles, campus, her family and horses were caught in the middle of the blaze. Holmes waited for hours for word from her mother, Lisa Holmes, who was trying to evacuate three horses from the farm they lease 45 minutes away from UCLA. Lisa did not have access to a trailer in Malibu, so she waited at the farm praying someone would come by. A woman ran up the driveway and informed Lisa that she had three spots on her trailer, but the rig was not warmblood sized. As Lisa held her daughter’s beloved 18-hand gelding, NZB The Chosen One, she was not sure he would fit. 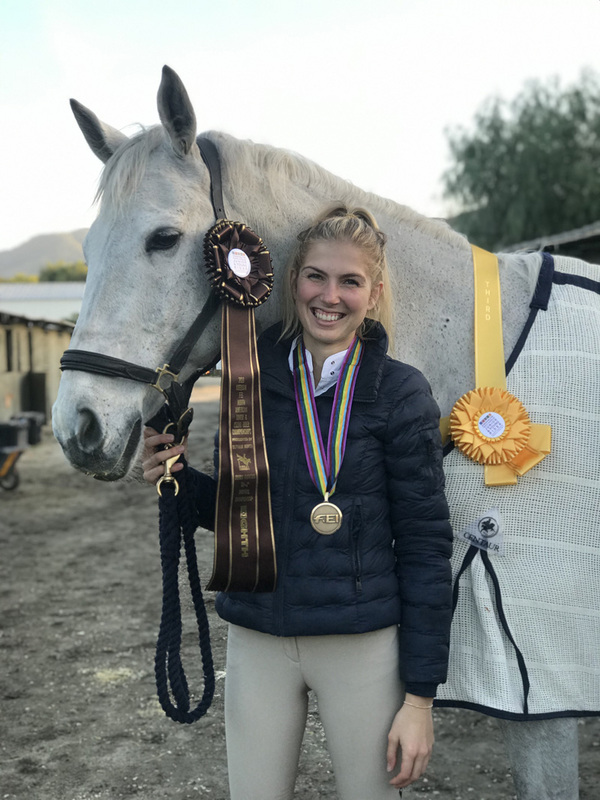 Kelsey purchased the 13-year-old Hanoverian gelding from Mark Todd in 2013, imported him, and the two have worked through the one-and two-star levels together. 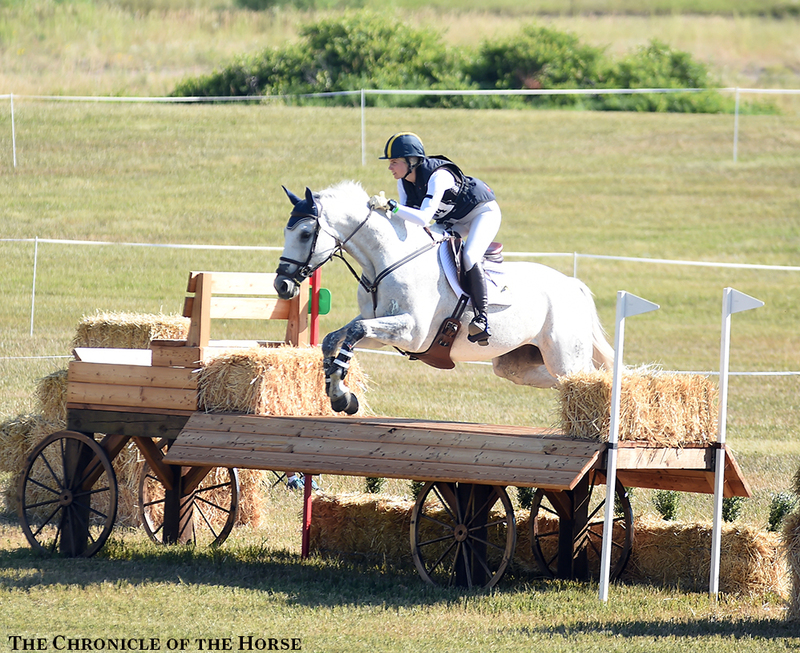 Their crowning achievement was competing in the 2016 Adequan FEI North American Junior & Young Rider Championships (Colorado) where they placed eighth individually and helped the Area VI team to third in the CCI*. 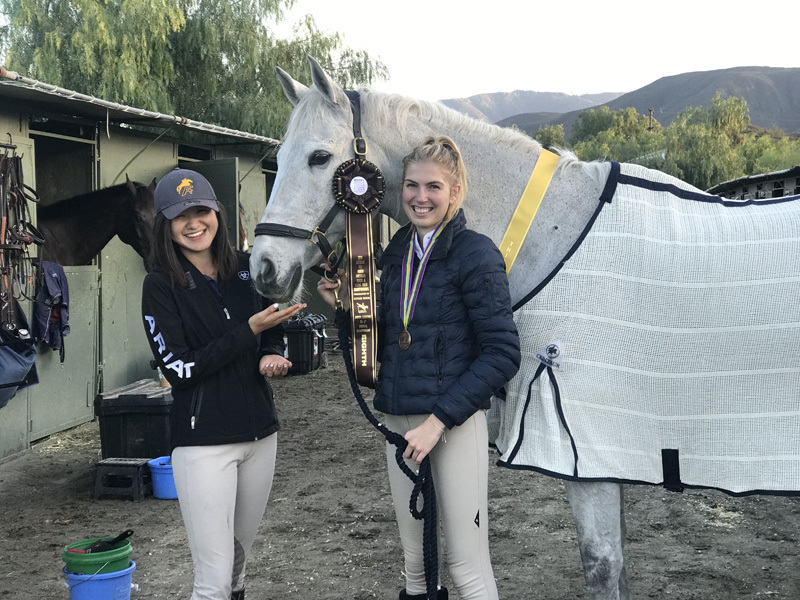 Kelsey’s NAJYRC ribbons and medal were lost in the fire, but her mother and her best friend Lisa Takada teamed up to deliver a special gift. Takada contacted the U.S. Eventing Association and then the U.S. Equestrian Federation to figure out how to replace Kelsey’s lost awards. They were able to send a bronze medal from a para-dressage competition. Takada then took the medal to be re-engraved with the correct information and presented it, plus replacement ribbons, to Kelsey by dressing Squid in his reclaimed winnings. Kelsey Holmes (right) told her mother that the one thing she wished had been saved from the fire was her NAJYRC medal and ribbons, and Lisa Takada (left) worked for months to replace them. Photo Courtesy Of Kelsey Holmes. Life for the Holmes family is slowly returning to normal. Kelsey is continuing her studies at UCLA, pursuing a degree in political science, and the family plans to rebuild their home in Malibu. The horses have helped Kelsey cope through the aftermath of the fire. Kelsey Holmes plans to take this competition season day by day and enjoy every ride. Photo Courtesy Of Kelsey Holmes. You may also use your Chronicle of the Horse Forum Login. Please enter your email address to view this content.